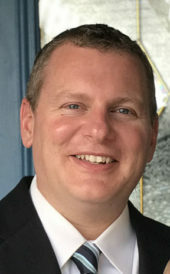 Brad Weinstein joined Logan Consulting in 2008. Brad has led numerous large-scale business process improvement projects and full-lifecycle ERP implementations. He has a history of driving process re-engineering, strategic IT direction and business change as well as managing and delivering on all varieties of projects, from standard full life cycle ERP implementations to complex integrations, custom development efforts, and strategic assessments. His experience at the executive level in managing projects of all sizes has helped clients in the automotive, consumer, medical, food and beverage, and industrial/electronics verticals. Brad also has responsibility for quality assurance across Logan Consulting projects as well as training, managing and developing staff. Prior to joining Logan Consulting, Brad served as an IT Manager and Materials Planner at General Electric. Brad has a Bachelor’s of Business Administration from Cleveland State University and a Master’s of Business Administration from Baldwin Wallace University.